Kovalam, an international beach with three adjacent beaches is located by the Arabian Sea in Thiruvananthapuram city, kerala, India. 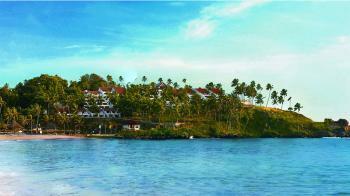 The word Kovalam means the a grove of coconut trees and the village offers an endless sight of coconut trees. When Maharani Settu Lakshmi Bayi of Travancore constructed her beach resort in Kovalam, it started getting attention in the ends of 1920. After some time the place was brought to public by her nephew the Maharaja of Travancore. In 1930 the guest of Travancore kingdom discovered the potential of the Kovalam beach and declared as the tourist destination. In Summer the minimum temperature is 21° C and the maximum temperature is 33° C.
In Winter the minimum temperature is 18° C and the maximum temperature is 30° C.
September to March is the best time to visit kovalam. By Air - Trivandrum International Airport is the nearest airport. By Rail - Thiruvananthapuram Central is the nearest railway station. By Road - Kovalam is connected to Trivandrum and other major cities by bus services.